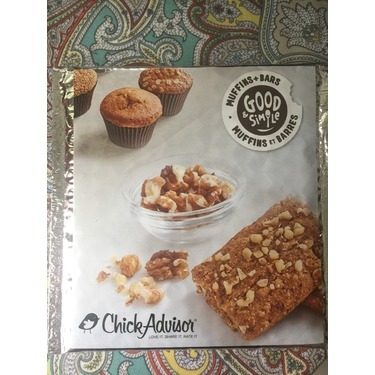 Made with real pieces of fruit, nuts and whole grains, Good & Simple fresh tasting baked goods are individually wrapped making them a perfect choice for those on-the-go and away from home. *Available in the in-store bakery at Metro and Freshco grocery stores. 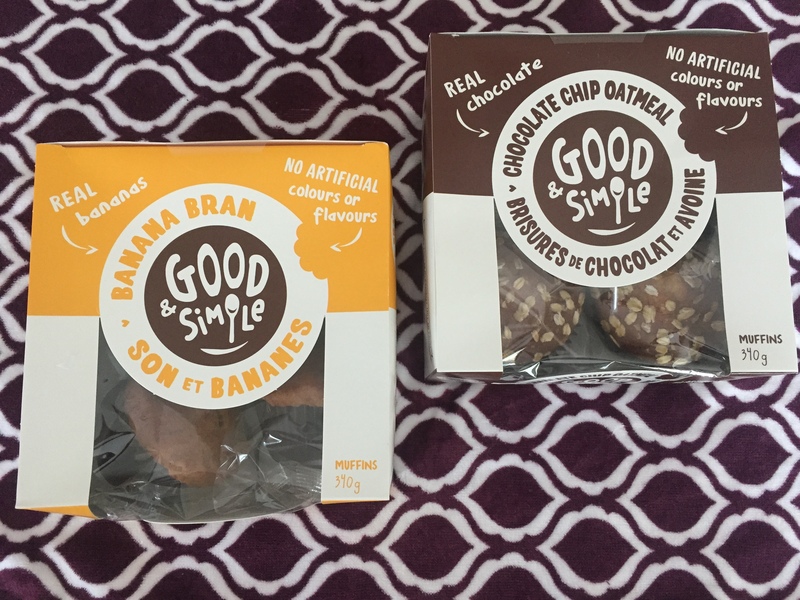 For more information, please visit Good & Simple's Facebook page. 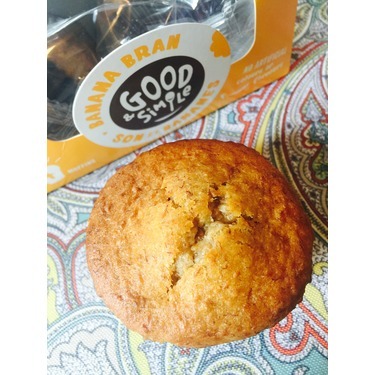 Good and simple banana bran muffins. 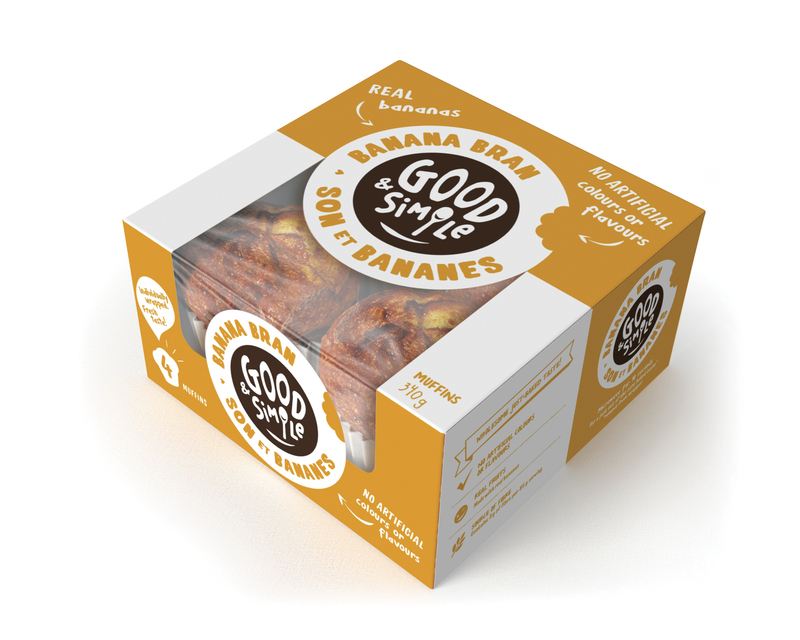 Délicieuse s'est muffin au bananes, elles ne sont pas sèche comme certaines marque j' ai essayer .Super bon goût. Il faut les essayer , ne perdez pas de temps. 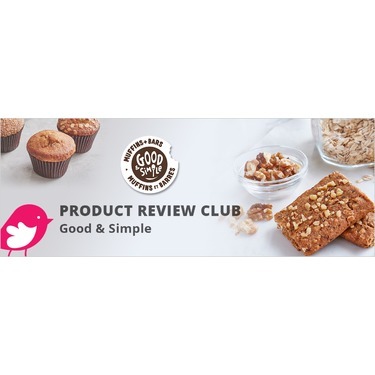 I love the good and simple brand muffins! 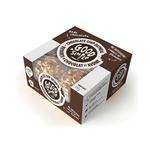 I can actually read the ingredient list and the muffins are so good! 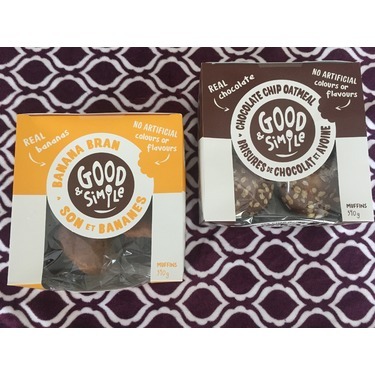 I love the Banana bran.. they are my absolute favorite! Melt a little butter on them and they are perfect! 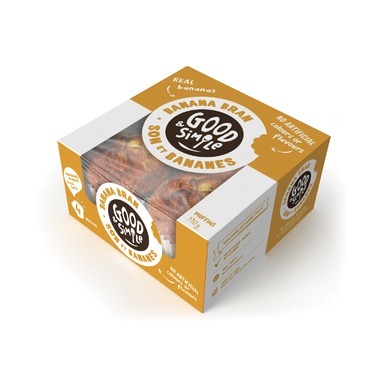 I wasn't sure if I would like them but I absolutely loved the Good and Simple Banana Bran Muffins. They were my favorite of the two that I was chosen to review. I really liked the quality ingredients. 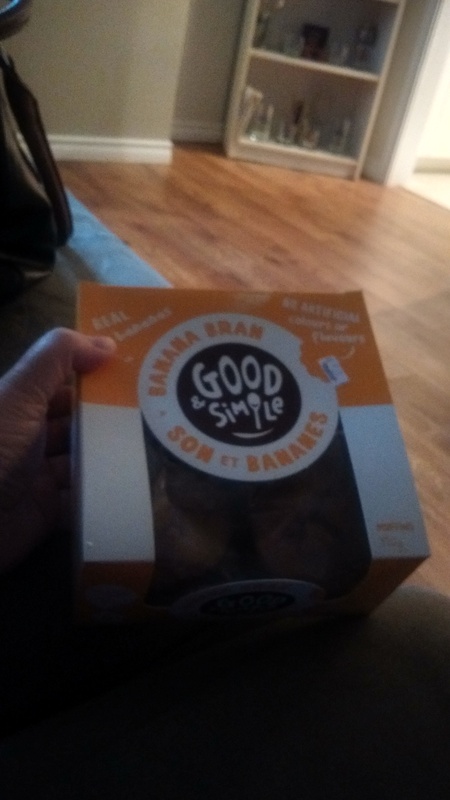 I also liked that they have bran in them. I am always looking for new foods that have bran in them for my kids. They really were like home made! The flavour was pretty great and I will be buying these in the future. I have recommended them to my friends and family. 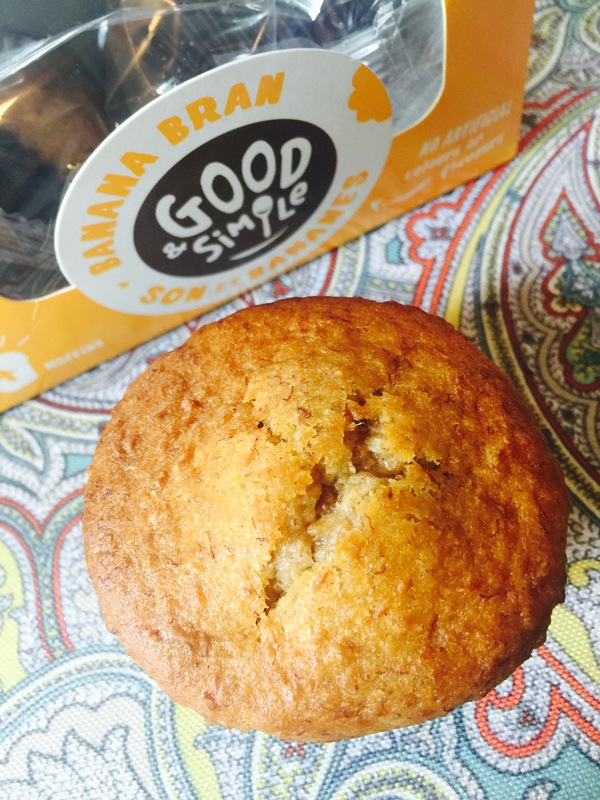 The Good & Simple Banana Bran Muffins are a great choice as a snack or on the go breakfast! 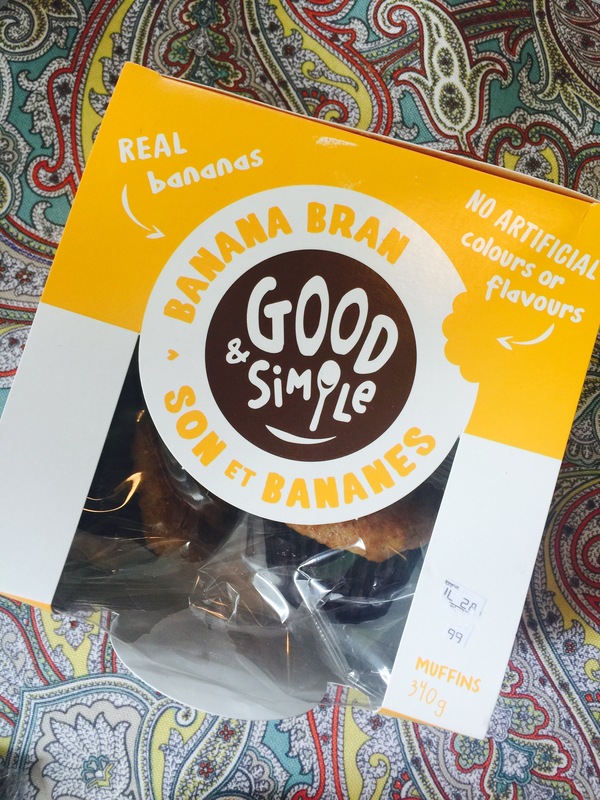 I enjoyed the banana flavour and I was surprised how fresh the muffins were, considering they are a boxed item! The only downfall was that I had a considerably hard time finding this product, as the stores do not seem to carry a lot of stock. Perhaps it was my location, but I did try several Metro stores. Other than that, I would recommend! 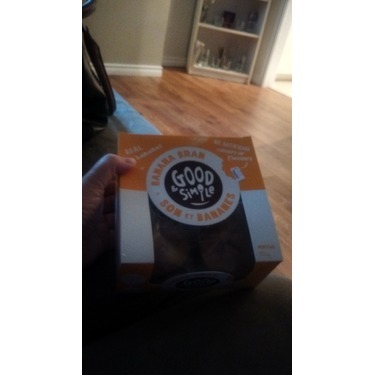 I was really not impressed with these muffins. Not only were they super expensive, but the taste isn't that great. They are all individually wrapped adding more plastic waste than necessary. 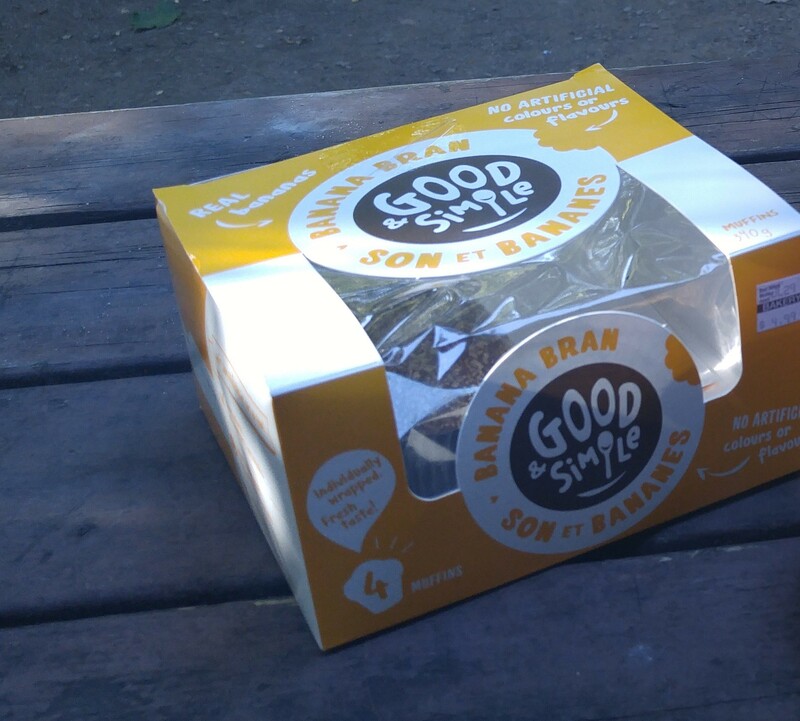 Although I am not a fan of banana, these muffins weren't even liked by my kids. I tried to add a bunch of butter to help moisten it, but still not a fan. The natural ingredients are the only thing this muffin has going for it. Not worth it! I have a six year old who loves to wake me up at 5 am whispering (loudly) in a sing-song voice, "Mommy, may i please have a snack?" My husband and I were both grumpy from lack of sleep and my child was grumpy from lack of snack. 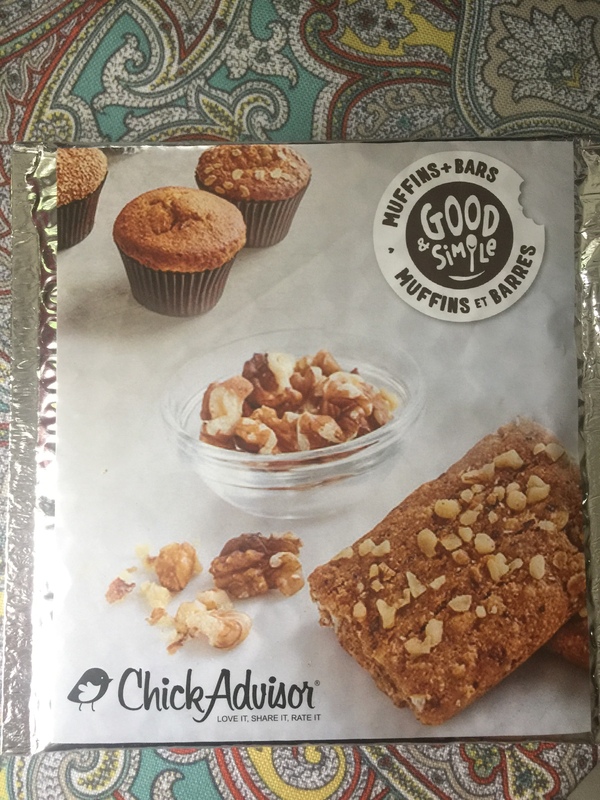 I got the chance to try these free through Chickadvisor and I love them so much. 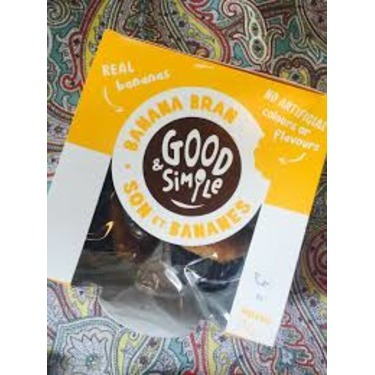 I like that they are made of simple ingredients without all the added preservatives. 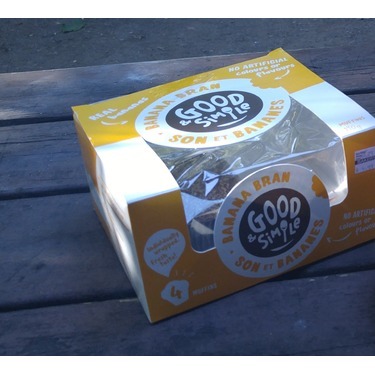 The packaging is very pretty and looks nice sitting on the counter. Most of all, my son loves them and is no longer asking us to have a snack at 5 am because he can just go and get himself a muffin and then goes back to bed. 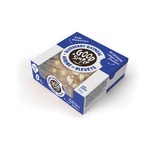 We will definitely be adding this as a staple to our household!